If you’re using whole unsprouted mung beans, soak in a bowl overnight to soften. In a large saucepan, heat the oil and add the spices, ginger, and garlic to the pot. Stir frequently on medium-high heat until aromatic. Next, add the maple syrup and mix into the spices. Add the mung beans and stir until well coate. Pour water in, cover and reduce to a gentle simmer and cook until tender, about 35 minutes. You may need to add more water and cook longer. When the mung beans are slightly tender but not mushy, remove from heat and season with salt and pepper. Store or set aside until ready to use. In a medium saucepan, heat the oil and caramelize the shallots. Next, add the radishes and cook until tender. Last, add the spinach and cilantro, sauté until the greens are lightly steamed but not overcooked. Squeeze the lime juice and season with salt and pepper. To assemble the tacos, heat the tortillas and layer with mung beans, spring greens and top with sliced avocado, micro greens and an extra squeeze of lime. Traveling is a mix of wonderful and exhausting. While exploring new places, relationships, and foods adds beauty and joy to our lives, travel’s pleasures often come at a price. Amidst the expansive experience of travel, it’s easy to become unsettled and erratic, especially for someone who is vata in nature or has a vata imbalance. The nature of travel is vata, and this dosha embodies movement as well as spaciousness. When we travel, we incorporate the principle of movement into our lives and increase the level of vata. As the subtlest of the doshas, vata is quickly thrown out of balance, which means we must take extra care to stay grounded and stable. But don't worry: Ayurveda offers excellent tips to help better manage your energy and keep your body, mind, and spirit in balance while traveling. 1. Carry your daily routines with you. The Ayurvedic principle of following daily routines can help us maintain balance not only when at home but also while traveling. Try eating your meals at the same time each day to help your digestive process acclimate to changes in your diet and environment. Regulate your bedtime and morning wake time. These practices stabilize us and help us stay in synch with our natural circadian rhythms. Have you ever noticed that after a long flight, you do not poop for a day, or two, or three? This tends to happen because the vata elements of air and ether permeating the airplane are cold and dry and moving hundreds of miles a minute. These qualities will naturally increase the vata in your body and affect your bowel movements. 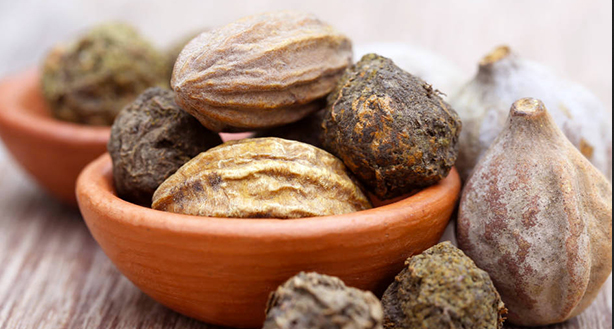 To address this issue, start taking Triphala a couple of days before you travel, and continue to take it during your trip. This will not only help offset the effect of the flight, but it will be helpful in digesting the delightful new foods you will be trying. 3. Eat foods that are grounding. Raw foods, salads, dried fruit, and smoothies are all drying foods that will further aggravate the vata dosha. Skip the chips, and grab a meal that is warm, moist, and perhaps heavier. Root vegetables, soups, fish, chicken, and oatmeal with cooked apples are a few examples of grounding foods. Bring herbal or digestive teas on the airplane with you, and ask for hot water instead of the usual beverages served on board. Also, pack a bag of healthy unsalted raw nuts to eat on the plane instead of the snacks the airline provides. Staying hydrated is key to counteracting the dry qualities of vata! In addition to increasing your intake of fluids and water-rich fruits and vegetables, pack a small amount of ghee or good quality olive oil, and take one teaspoon each morning while you travel. Oils nourish and lubricate the dry, depleted channels traveling can bring. Using fragrant herbalized oils for abhyanga, or self-massage, is another great way to balance vata. This practice not only helps our skin retain moisture but also calms and nurtures us through our sense of touch. Blend sesame and almond oils with a few drops of lavender essential oil and bring it with you for a daily massage before or after your shower. Sip warm or room temperature water throughout the day. If you sip your drinks instead gulping them, your body will absorb and assimilate the liquids better. Stay away from cold water as it dampens our agni (digestive fire) and can exacerbate a vata imbalance. Often in the effort to make the most of our vacations, we overlook the need to rest and rejuvenate. The new sights and experiences we’re taking in tend to heighten and stimulate our senses, which can prove overwhelming for anyone who’s dealing with an excess of vata. Find the time with in your trip to withdraw your senses. Go inward, though meditation or pranayama. Allow yourself to be present with your experience, and journal daily gratitudes, experiences, or insights throughout your travels. 6. Have a day of rejuvenation upon your return home. Instead of heading straight into the office after a long trip, take one day to reground at home. Let your body rest; drop back into your daily routines. Allow this day to be a ritual of self-love and reconnection to yourself and the life you have at home. Each day I wake up looking forward to the benefits of dinacharya—the practice of building routines into each day that helps the natural rhythms of our body work as they should. In doing this, we support our overall health and well-being. An Ayurvedic tea ceremony is one of my favorite dinacharya practices. For me, the outward-facing ritual of preparing and drinking tea manifests inner harmony, respect, purity, and tranquility. It is a meditation that by providing time and space to learn about the inner self while showing respect for the material world invests not only the tea but also each step of the ceremony with positive value. It might surprise you to know that there’s a scientific basis for understanding how the tea ceremony works. Modern experts on the topic point out that this ritual can help focus and calm the mind by stimulating both sides of the brain. The Buddhist monks who developed the tea ceremony in ancient times understood that experiences that comprise a sequence of fixed, repeated steps and that activate all five senses can induce a relaxed yet alert state of mind that fosters a feeling of well-being and inner peace. Smell, touch, taste, hearing, and sight converge with the various elements of the ritual: the earthy aroma of the tea and the straw in the floor matting, the smooth texture of the pottery’s glaze, the flavor of the tea, the sound of the water bubbling in the teapot, the décor inside the room, and the sights and sounds from the natural environment outside the room. With all five senses awakened and in tune, the entire brain is engaged in the ceremony. The left brain hemisphere enjoys analyzing the material and factual aspects of the ceremony, such as the implements and the steps in the process, while the right hemisphere focuses on intuitive elements like the beauty and serenity of the ambience and the emotions of the participants. When I’m planning a daily tea ritual, my first step is finding handmade ceramics from local artisans. By doing this I am not only supporting my community, but also surrounding the ceremony with a culture of respect for artistry. Equally important, the visual beauty and delightful feel of each container awaken my sight and sense of touch. My second step is sourcing fair trade organic herbs and spices from reputable dealers. I’ve committed to this practice because I believe that one person can make a difference. Buying organic supports organic agriculture, which reduces the overall exposure of the soil, air, and water and the food supply to synthetic pesticides whose toxic effects include an increased risk of myriad diseases from asthma to cancer. This commitment also contributes to the growing demand for sustainable farming methods. Over time, if there’s enough demand, the industry will have to change to accommodate consumer preferences. The third step in the planning process is creating the right environment for the ceremony. The quality of energy in the environment greatly affects our mental state. Hence it is not always something tangible that might make it difficult to focus when you sit for tea. You should learn to be able to differentiate between the positive and negative vibrations in different areas of your house. This is a relatively easy task. All you have to do is to observe your emotions. Places where you find it easy to think good thoughts are energetically appropriate for meditative rituals. There are surely more than enough corners in your house where you could feel these uplifting spiritual vibrations. Setting up a dedicated space can make or break your ceremonial tea habit. Imagine you have to put away your current project, clean up counter space, pull out a teapot, tea cups, and tea. By now you’ve exhausted most of your willpower just by thinking about getting to the point of making tea. Choose a place in your house that has the positive vibrations that I mentioned, and reserve this space for your ceremony. The décor should be a very simple reflection of the natural world. Spaciousness and simplicity in your decoration is essential to enable the mind to relax and reflect. Now let’s talk tea! One of my favorite herbs to use in my daily tea ritual is tulsi. Aromatic, delicious, beautiful, and sattvic (“pure, harmonious”) tulsi is one of those magical Ayurvedic herbs that can benefit just about everyone. When preparing the tea, stay present with each step: heating the water, steeping the tea, and pouring the warm water over the tea leaves. Inhale the aroma of the tea. Notice the smell: Is it gentle or pungent? Is the aroma cooling or warming? Let your eyes take in the colors as the tea is infusing; notice the texture of the tea leaves. Allow your gaze to take in the colors of your ceramics while your hands are holding the cup. Let your gaze be gentle, passively taking in all there is to see. Before drinking the tea, offer up appreciation. Take time to remember and give thanks for each being that went into the making of this tea: the sacred water, the cherished plant, and the many hands that tended to the tea that’s now in front of you. By setting this tone you are allowing your senses to embrace the experience entirely, and you will watch stress start to melt away. As you sip, joy will fill your heart, starting the day off with a deep sense of wholeness, gratitude, and self-awareness. Sadhana and the power of Aum "om"
Just as they govern the flowering and wilting of plants, the rhythms of day and night and the four seasons rule the waxing and waning of our biologic energies. These energies manifest in the three doshas—vata, pitta, and kapha—that determine our constitution and influence our overall well-being. Have you ever found that you feel sluggish when you sleep late or that if you stay up too long you get the midnight munchies? Do you sometimes wake up at 4 a.m. feeling so agitated that you have a hard time falling back to sleep? Well, the principles of Ayurveda can explain not only what’s causing these problems but also what you can do about them. Fatigue, cravings, emotional distress, and other troubling symptoms typically arise when doshas fall out of balance due to internal and external forces that disrupt our biological clock. Our bodies are designed to sleep, wake, and eat at specific times during the day. These times correspond to the rhythms of the natural world as well as to the dosha that predominates during those hours. When stress keeps us awake at night or a busy schedule keeps us from eating lunch or going to bed at a reasonable hour, the resulting doshic imbalances can lead to an assortment of health complaints, as well as a general sense of physical discomfort and psychological uneasiness. If the imbalance persists, it can even make us seriously ill.
Our body is constantly in search of homeostasis. It’s designed to seek balance in the midst of the many demands of the external world—from processing emotions experience to digesting food. Learning to work with the body’s internal rhythms enables us to go with its natural flow, instead of against it, ultimately reducing the stress on our tissues and slowing the overall process of degeneration. Knowledge of the doshas and their effects on us at different times of days is the key to unlocking the secret of sustainable health and vitality. Every 4 hours over the course of a 24-hour day, one of the three doshas becomes dominant. Vata, pitta, and kapha each have unique qualities that influence our mind and body during the 4-hour intervals when it holds sway. Knowing this, we can sustain a balanced state of wellness across time by adopting specific practices that capitalize on the distinctive energies that predominate at various points in the 24-hour cycle. Let’s begin with the vata time of day that occurs in the morning between 2 a.m. and 6 a.m. The hallmarks of this dosha’s constituents—air and ether—are clarity and mobility These characteristics align with receptivity to spiritual pursuits; thus, this time of day is perfect for practices such as meditation, prayer, chanting, and yoga. Performing sun salutations or repeating mantras or affirmations are great ways to quiet the mind after a night of restless or disturbed sleep, especially if you have a lot of vata in your nature. It's also important to take care of your personal hygiene at this time of day. (See General Daily Routines Guidelines to find a supportive routine based on the dosha that governs your constitution.) Remember a successful daily routine is all about consistency and finding what works for you. Like practicing yoga and meditation, performing your daily self-care ritual during the hours dominated by vata will help keep you functioning at your peak throughout the entire day. The next stage in the daily cycle is the kapha period extending from 6 a.m. to 10 a.m. This stage is associated with the stasis and heaviness of earth and water. Waking up at this time is apt to increase these qualities within you, making you feel sluggish and setting a slow pace for the rest of your day. This is why Ayurvedic teachings recommend getting up at around 5 a.m., when the predominance of vata will energize you and clear your head. During the morning kapha period you should eat a light. well spiced breakfast. A big, hearty meal will only aggravate the feeling of low energy associated with this dosha. Eating a warming, light, and easily digestible breakfast supports healthy metabolic function by sustaining agni (digestive fire). If we think of agni as a campfire, the reasoning behind this practice becomes clear. This “campfire” has been burning all night and by dawn is running low on fuel. Consuming a large amount of cold or hard, heavy food shortly after waking not only undermines the balancing qualities of kapha but also equates to tossing great big logs on the dying embers of your campfire, thereby extinguishing it. What you want to do is add just enough kindling to reignite the fire and keep it burning steadily, thus counteracting the tendency of kapha energy to slow your metabolism. This stage of the morning is also the best time for your daily exercise routine. Kapha gives strength and stamina for exercising, helping you build healthy tissues without exhausting your body. In fact, exercising at this time will energize you both physically and mentally for the day ahead. Working out late evening or toward bedtime is not recommended, as it can elevate body temperatures and disrupt sleep rhythms. A gentle walk after dinner is enough to help you maintain healthy blood flow without overstimulating your mind and body. Also avoid exercise from 10 a.m. to 2 p.m., the pitta time of day, when agni is primed for the task of digesting your main meal. Kapha time gives way to pitta time beginning at 10 a.m. and continuing until 2 p.m. Composed of fire and water, pitta governs our mind and body during the hours of peak productivity—the time that the sun is highest in the sky and there’s more heat in the natural world. The fiery heat of this energy can fuel efficiency and advance our goals but needs to be carefully managed. In addition to avoiding direct exposure to the intense midday sun, you should steer clear of strenuous workouts at this time of day, especially if pitta dominates your nature. An overabundance of pitta can provoke symptoms of heartburn, skin rashes, or even flares of temper. One of the best uses of this midday surge of pitta is digesting a substantial lunch. By maximizing agni, the heat energy of pitta enables us to easily break down complex foods like animal proteins and whole grains and absorb the nutrients they contain more readily. Our increased digestive fire at the time of day also helps us process and assimilate the thoughts and emotions that serve as food for our minds. As the cycle continues, a second vata period occurs from 2 p.m. to 6 p.m. As with the morning vata time, this interval is governed by the elements air and space (ether). These dynamic elements are associated with creativity, flexibility, movement, and expansive thinking. While these qualities make this time of day suitable for artistic pursuits, problem solving, and communication, they can cause agitation or fatigue when they occur in excess. Consequently, individuals with a vata nature should take care to get adequate rest and avoid environments where harsh distractions like bright lights and loud noises can overstimulate their senses. When kapha time rolls around again at 6 p.m., its slow, heavy rhythms can help us wind down for the day and transition into a deep and restful sleep. To spare your body the task of digesting an overabundance of food, eat a light, early dinner. Otherwise you might end up with a case of indigestion that keeps you tossing and turning all night. As bedtime approaches engage in activities that subdue your nervous systems—gentle yoga moves like hero pose and cat/cow, sipping steamed spiced milk, or listening to soothing music. Turn off the TV, and keep conversations light to avoid arousing strong emotions or causing your mind to race in circles or dwell on problems. Hopefully, you’ll be sound asleep by 10 p.m., when pitta takes over again. This time of night harnesses powerful pitta energy to reset metabolic functions and cleanse and restore the body. If you’re still awake, your heightened agni may send you to the refrigerator in search of a late-night snack. More seriously, you will be missing out on a vital period of restorative rest. That lapse can cause ama (undigested food, cellular wastes, environmental toxins, etc.) to accumulate in the body, leading to multiple health issues. Ayurvedic pharmacology is a time-proven system that spans a wide range of gentle yet potent herbal tonics and medicines. Ayurveda pharmacology has demonstrated its effectiveness over the thousands of years it has been in use and continues to do so today. According to Ayurveda, many of the physical and chemical properties of plants that serve as food and herbal treatments are similar to those of the human body. In Ayurveda, the action of an herb is first considered from the standpoint of its effects on the sensory organs. The qualities of the shape, color, aroma, flavor, and fracture properties of a plant are related to its specific pharmacological actions and provide the basis for the theory behind the energetics of the herbs. The best way to learn about herbs is to become intimately acquainted with them; an herbalist must know a plant’s natural habitat, growing tendencies, climatic preferences, shape, color, taste, smell, and harvest times and, more important, must experience the herb’s effects personally. Ayurvedic practitioners have developed many excellent herbal preparations. Not all herbs are readily assimilated in their raw state; some need to be processed to enhance absorption. The form in which the herb is taken can significantly affect its potency and effect. The mode of preparation typically depends on the specific causes and symptoms of the disease being treated. There are also specific preparations that are indicated for particular plants. Like medicated ghees, medicated wines, gugguls, and pills retain their potency longer than fresh herbs or powders. An Ayurvedic practitioner can also develop specific custom formulas based upon any imbalances of the doshas. It is best to consult an Ayurvedic practitioner when using these traditional Ayurvedic herbs or formulas. According to Ayurveda, our bodies are woven from food. The nutrients we ingest are metabolized into the energy and information that form our cells, tissues, and organs. Every day our body needs essential vitamins, minerals, and other nutrients to maintain its delicate balance. Taking Ayurvedic herbs as supplements can be a highly efficient way to create that balance. Every herb in Ayurvedic herbology has a multitude of benefits for the mind, body, and spirit. Herbs can be used internally or externally (through the skin)—or even used as aromatherapy. These herbs can be useful in a range of applications from weight loss and beautifying skin to supporting overall vitality; Ayurvedic herbs can transform your health in so many ways. Plants and herbs carry in their cells the wisdom of the cosmos and the healing vibrations of nature. Since ancient times, humans and plants have had a profound spiritual connection—we have evolved with plants and have adapted and learned from them. Also, plants capture solar energy and convert it into nutrients that humans can digest. Plants do this by transforming sunlight into chlorophyll, which can then be assimilated by the human body, along with many other attributes of herbs that, when used correctly, help our bodies maintain homeostasis. Some Ayurvedic herbs and formulas are safe for daily use and can be our allies in managing our health. Herbs that help balance your constitution complement the positive changes you make in your diet and lifestyle. For example, shatavari, ashwaganda, and vidari kanda are some of the main herbs that help maintain doshic balance by moving excess vata from the body. As the principal herbs used to remove excess pitta, brahmi, bhringraj, neem, and gudduchi also promote balanced health as do bibhitaki, chitrak, and punarnava, the three herbs most commonly used to eliminate excess kapha. Health experts increasingly recommend the adoption of a plant-based diet as a strategy for staving off chronic age-related diseases, including heart disease, cancer, diabetes, and obesity. Many plant-derived foods are nutrient-dense, which means they deliver a heaping portion of vitamins, minerals, antioxidants, complex carbohydrates, and amino acids without overloading us with calories. Clean the beans. Place in pot with the water and bring to a boil, reduce the heat, and simmer until tender (2 to 4 hours, depending on the age of the beans). Melt the ghee in a small skillet over low heat. Add the hing, ginger, cumin seeds, and mustard seeds. Sauté, frequently stirring, until the spices become fragrant and the mustard seeds pop for 1 to 2 minutes. Add to the simmering beans. Stir in the turmeric, and salt to taste. Simmer for 1 to 2 minutes for the flavors to blend. Just before serving, add the cilantro. The potent Ayurvedic herb vidari kanda is known as the grandmother of Indian ginseng (ashwaganda) because it shares many of that plant’s revitalizing, restorative properties and, like a loving nana, serves as a trusted source of comfort and healing when you’re feeling upset or under the weather. Its qualities (heavy, sweet, unctuous, cool) are also thought to represent the feminine counterpart to ashwaganda’s more masculine energy. Vidari’s attributes are useful for balancing vata and decreasing pitta. Used in excess, it increases kapha and ama and can cause liver damage. Vida means “to destroy,” and adi means “enemy”; thus, Ayurvedic practitioners rely on this tuberous root to vanquish all vata disorders. The traditional practice of taking vidari kanda with ghee or milk enhances the nutritional benefits of this nourishing treatment. The hibiscus flower has many health benefits. It’s used in Ayurveda to improve appetite; dissolve phlegm; and help relieve colds, heart and nerve diseases, upper respiratory tract pain and swelling (inflammation), fluid retention, stomach irritation, and circulatory disorders. Hibiscus is also useful as a gentle laxative and diuretic. As a resident of Mexico, I find that hibiscus tea—or agua de jamaica, as it’s called there—is served almost everywhere—in homes, in restaurants, and on the street. One explanation for its popularity is that people in very hot climates often lose their appetite, and this tangy, cooling, drink is just the thing to bring it back. As a diuretic, hibiscus tea also helps relieve the fluid retention that often occurs with heat exhaustion. Another likely reason for this drink’s ubiquity in tropical and subtropical regions is its antimicrobial properties, which protect against the bacteria and worms that thrive these zones. Try our spicy twist on this traditional Ayurvedic beverage! Place licorice, cinnamon, ginger, and raisins in 2 cups of water, and bring to a boil. Simmer for 10 minutes. Add all the other ingredients except the honey, and simmer for 30 minutes. Pour liquid out through a strainer into a 2-quart vessel. Now add the rest of the water. Drink at room temperature or slightly cooled. Panchakarma is the Ayurvedic art of detoxification, purification, and rejuvenation. A course of Panchakarma treatment typically consists of a multiple-day, in-depth cleansing program that involves a special diet, medical spa techniques, and elimination procedures. These ancient rejuvenation therapies are designed to nourish the physical body and access the subtle body, where toxins from undigested food, cellular wastes, and unprocessed emotions and thoughts can accumulate and block the flow of biologic energy. Panchakarma is a powerful method of addressing the causes of disease and has been used for thousands of years to help people stay healthy, young, and vital. In Ayurveda, we have a lot of “herb allies.” Many of these are common fruits, culinary herbs, and other plants that we use in our everyday cooking in the West, where we sometimes forget that we have a medicine cabinet in our kitchens! Two of my favorite daily kitchen ingredients are lemon and black pepper. They not only make a delicious combination when used in cooking, but are also packed with health benefits. Using them more frequently in your food can be a great way to implement Ayurvedic practices in your daily life. Most of us know lemons as a healthful and flavorful fruit. Lemon along with its peel is often added to Ayurvedic recipes and medicines to stimulate detoxification. Lemons also nourish our bodies with a broad spectrum of vital nutrients ranging from antioxidant vitamins C, A, and E to the B complex vitamins B6, folate, niacin, thiamin, riboflavin, and pantothenic acid to a full complement of minerals, including copper, calcium, iron, magnesium, potassium, zinc, and phosphorus. Additionally, lemon’s generous supply of flavonoids affords the combined health benefits of antioxidants and anti-inflammatories, including anti-cancer activity. The connection between cancer and lemons isn’t something new: scientists have been studying the use of high doses of vitamin C as a cancer treatment since the 1970s. Lab tests by scientists at the Texas Agriculture Experiment Station showed that limona, a compound found in lemons and other citrus fruits, stopped the growth of neuroblastoma tumor cells. Unlike standard chemotherapy agents, limona causes no unpleasant or harmful side effects. The results of other recent studies of its anti-cancer properties have also been promising. Ayurveda has long recommended lemon for a variety of other uses as well, including to reduce blood sugar; alleviate constipation, high blood pressure, fever, and indigestion and to improve the health of our skin, hair, and teeth. Meanwhile, mainstream scientists continue to discover new applications for this ancient multi-purpose medicine. Studies conducted at the American Urological Association recently revealed that the citrate in lemon juice helps prevent the formation of kidney stones. Another kitchen favorite, black pepper not only tastes great with lemon, but also contains a compound that makes the fruit’s antioxidant nutrients easier for our body to absorb. This compound, piperine, has impressive antioxidant, antibacterial, and anti-inflammatory properties that provide additional health dividends, including optimizing the balance of microbes in the digestive tract and improving digestion. Black pepper’s antioxidant and anti-inflammatory effects point to its potential role in fighting cancer. Laboratory researchers have documented that piperine and other bioactive compounds in pepper inhibit the growth and spread of tumor cells in several types of cancer, including breast and colorectal cancer. Scientists investigating black pepper’s potential as a cancer preventative have found it reduces the rate of cell mutations that lead to malignancies and increases the activity of immune cells that kill tumor cells. Piperine holds out hope for other modern-day health scourges as well. Recent research evidences that piperine may reduce the risk of both obesity and diabetes by regulating blood sugar levels and increasing the rate at which resting muscle tissue burns calories. The compound has also been shown to increase the bioavailability of the diabetes drug metformin, potentially enabling patients to lower their dosage of the drug. The good news about black pepper doesn’t end there. It may also help keep our brain active and healthy as we age. Preliminary studies have demonstrated that the spice may be useful in managing neurological disorders such as Alzheimer’s, depression, Parkinson’s, and epilepsy. In Ayurveda, pepper is often included in tonics for the respiratory problems, including colds and coughs. Its expectorant quality promotes the expulsion of mucus from the sinuses and lower respiratory tract. In addition to stimulating productive coughing, black pepper helps discharge mucus by inducing sneezing. These characteristics, plus black pepper’s anti-inflammatory effects, add up to an intuitive approach to managing respiratory illnesses—one that helps relieve their symptoms, while addressing the underlying causes. Happy New Year! To get the new year off to a great start, I want to share some valuable tips for finding inner peace—something we all struggle to attain. The practices listed below are the ones that help me the most when I notice myself slipping into an unquiet state of mind. 1.Dinacharya:Dinacharya—the Ayurvedic tradition of following a daily routine based on the rhythms of the natural world—plays an essential role in maintaining our physical, mental, and spiritual well-being. A schedule that assigns a set time to every activity—from waking up and cleansing ourselves to eating, working, and going to bed—not only helps our bodies function more smoothly and efficiently, but also serves as a framework for a calm, well-ordered existence, More on dinacharya. 2. Practice patience: Patience is an essential ingredient in attaining the ultimate goal of Ayurveda for yourself and others. Understand that optimizing health and finding peace take time. Don’t expect things to happen overnight. Patience is especially important when it comes to dealing with other people. Instead of flying off the handle when people offend you, take a deep breath and remind yourself you can’t control what other people do, but you can control your reaction to their behavior. Choose to respond in a way that allows you to maintain your equilibrium. 3. Know yourself:To seek Truth, we have to be able to accept that we don’t always have the right answers, while also trusting that somewhere deep within ourselves, we have all the wisdom we need to navigate our lives with ease and peace. Decide which qualities—compassion, dignity, generosity, fairness—are most important to you and strive to cultivate them. Define the major principles that guide your life and look for new ways to uphold them every day. 4. Embrace your humanity.To be a perfectionist is to hide behind a mask that presents a barrier to true intimacy. To be fully human is to be imperfect. Accept your mistakes and failures—only then will you be able to move beyond them. Practice self-love, and in stressful situations, look at what you did well, and celebrate the progress you’ve made. 5. Meditate:Meditation brings the inner peace and stability that’s needed for a healthy life. Taking just 5–15 minutes each morning to sit quietly and observe your mind will help you start your day in a serene and balanced mood. More on meditation. Ayurvedic therapies offer a unique way of addressing each client’s particular needs. If you have dry, aging, combination, or sensitive skin, an Ayurvedic facial treatment will ensure you get the best treatment for your specific skin type. 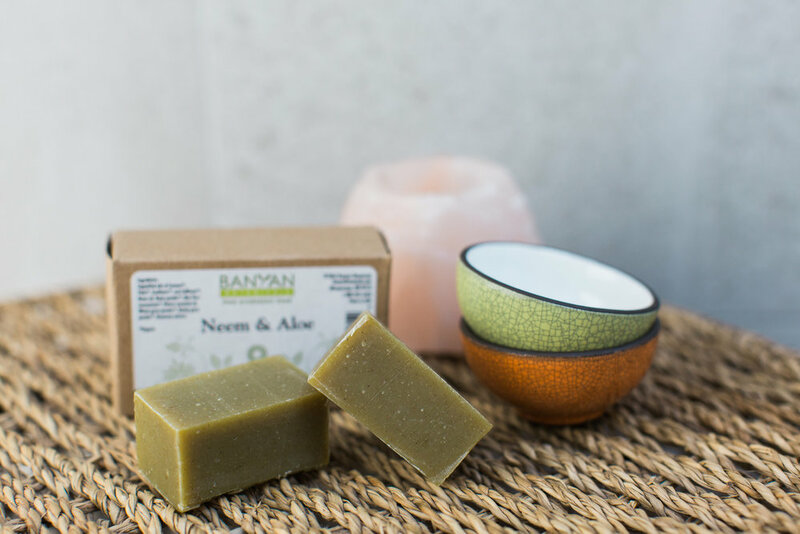 The herbal ingredients gently and thoroughly cleanse skin, leaving every complexion smooth, soft, and moist, without causing blemishes to erupt. The herbal and natural ingredients in a customized Ayurvedic facial contain the perfect blend of nutrients to add radiance to your skin. Ayurvedic facial packs made from healing botanical ingredients like lentils, rose, or saffron optimize cellular functioning and leave your complexion glowing with health. The herbal packs, steams, and moisturizing oils used in Ayurvedic facials benefit dry and aging complexions in more ways than one. The nourishing and healing properties of Ayurvedic facial treatments not only help repair and prevent free radical damage, but also deeply hydrate and lubricate skin without clogging pores. The continued use of proper Ayurvedic skincare practices and products at home is the best way to see long-term results. Ayurvedic facial massage supports the reduction of acne and acne scars. If you have blemishes that leave dark patches on your face, a massage with herb-infused oils and packs tailored to your skin type can help minimize their appearance. Using harsh products on delicate facial skin can make your acne worse. Ayurveda offers gentle natural ingredients that harmonize with your skin’s pH, thus creating the desired healing effect. Ayurvedic facial massage is not only profoundly relaxing but deeply restorative, instilling a sense of peace and joy that pervades the entire body. This effect occurs because the gentle pressure of the facialist’s fingers stimulates the 11 marma points located on the face. Marma points, which are similar to the acupoints defined by Chinese medicine, are vital energy centers that affect our whole body. Activating the marma points on our face helps with everything from stress management to the release of toxins. Delicious Ayurvedic Crepes You Will Crave!!! When I first introduce my Panchakarma clients to the art of Ayurvedic nutrition and cooking, they tend to feel overwhelmed. They worry they may not be up to the challenge of adopting a healthier lifestyle, much less the daunting job of getting their whole family on board with an entirely new approach to eating. I assure them that Ayurvedic cooking doesn’t have to be difficult and that an Ayurvedic diet can be tasty and fun for everyone. This crepe recipe is a perfect example of an easy way to incorporate Ayurvedic food into your life. Beat all the ingredients together thoroughly with an egg beater or in a blender. Pour ¼ cup of batter into a hot, very lightly oiled skillet; spread by tilting the pain. Cook over medium-high heat until the underside of the crepe is brown, and then flip it over. Wash, core, and quarter the pears. Chop into ½-inch pieces. Put all ingredients in medium saucepan and cook uncovered over medium heat for 15 minutes or until soft. Serve hot or warm. This sauce can be made with any fruit. Here at the center we use mango or blackberries, depending on which fruit is in season. Mix fruit water and cinnamon, and cook on low heat for 10 minutes. When cooled, add honey, and puree in a blender until smooth. The holiday season is the time for family, friends, and festivities. With so many activities planned, it can be challenging to maintain peace of mind and a sense of care that keeps us grounded, balanced, and full of vitality. Proper rest, healthy eating, and this rest-and-restore yoga routine are three things you should be incorporating into your daily life this season. Just take 15 minutes each night as you are winding down for bed to practice these simple poses, and you’ll be able to maintain the vigor needed to get through the holidays! This routine will help your regain the strength to recharge your energies by releasing stresses that burden your body and mind. Start off by spending at least three to five minutes in each pose, gradually adding more time as the pose becomes more comfortable. You may find it easier to relax deeply into the poses if you cover yourself with a blanket. To gain the full restorative benefits of these poses without straining yourself, you’ll need the following props: a bolster, a folded blanket, an adjustable strap, a sandbag, an eye pillow, and two rolled-up blankets. Position your mat vertically against a wall, place the folded blanket at the top of the mat, and lay the bolster across it horizontally. Sit on the bolster with your left side touching the wall. Lean back, raising your legs up the wall. Rest your middle and upper back on the mat, with your head and neck on the blanket. Bend your knees and put your feet through a loop in the strap, tightening it gently around your shins. Straighten your legs and press them against the wall. Lay the sandbag on your pelvis, and cover your closed eyes with the eye pillow. Rest your arms at your sides. To come out of the pose, roll slowly to one side. Sit on your mat with your right hip against the bolster. Lean to the right, and gradually lower yourself, placing your right hand on the far side of the mat. Extend your right arm straight along the floor, and rest your head on your bicep. Stretch your left arm overhead and to the right. Press your palms together. With every exhalation, visualize your body relaxing more deeply into the pose, focusing particularly on your neck. To change sides, slowly turn face-down, and then gently press your hands into the floor to get up. After resting on each side for several minutes, gently transition into child’s pose, and take a few deep breaths. From child’s pose, slowly rise to all fours; knees should be spread wide and big toes touching. With a bolster placed lengthwise between your knees sit down on your heels. Walk your hands forward on the mat until your upper body is resting on the bolster. Turn your head to one side and relax your body by breathing deeply. On each inhalation, feel your breath reaching into your belly and low back. On each exhalation, release any tension in your knees, hips, shoulders, and neck. When you’re halfway through the exhalation, turn your head to the opposite side. Place a folded blanket at the bottom end of the bolster, and sit with your left hip against the edge of the blanket. Rotate from your belly toward the bolster, with your hands positioned on opposite sides of the bolster. Lean down slowly until your forehead touches the bolster. Turn your head to the right, tucking your chin slightly, while keeping the back of the neck long and the front of the throat soft. Lay the eye pillow across the nape of your neck, and rest your hands and forearms on the floor. Breathe slowly and deeply, focusing on how your inhalations ground your pelvis and enhance the sensation of twisting in the belly and shoulders. After resting in the pose for a few minutes, release the twist, and repeat the sequence on your other side. Place a folded blanket on the top end of the bolster. Sit with your sacrum against the edge of the bolster, bring the soles of your feet together, and open your knees wide. Place a rolled blanket under each knee, and let your knees drop down to rest comfortably on the blanket rolls. Lay a sandbag across your feet. Place your hands behind you on the mat, slowly lean back onto the bolster, and rest your head on the folded blanket. Place an eye pillow over your closed eyes, and rest your hands on the floor. Breathe slowly and deeply, softening your belly with each exhalation. In my practice, I find many people are very concerned about parasites. This article offers tips on how to ward off these nasty critters as well as advice about herbal antidotes to parasitic infections from Banyan Botanicals. Our world is home to more than 3,000 different types of parasites. Like many species, the most common parasite, Giardia, is notorious for causing diarrhea and other digestive problems. While you’re most apt to pick up parasites when traveling in developing countries with poor sanitation, infections can occur anywhere. Giardia, for instance, poses a risk to children who play in soil contaminated with animal feces as well as to hikers and backpackers who drink from directly from lakes and creeks. (Bear in mind that water that looks clean can harbor millions of microscopic parasites from neighboring wildlife.) Giardia and other parasites can also lurk in food that’s been handled by infected individuals. Ayurveda teaches that low agni (weak digestive fire) predisposes people toward parasitic infections. For this reason, vata- and kapha-dominant individuals, who typically lack strong agni, are particularly at risk. The vigorous digestive fire of pitta-dominant people, on the other hands, tends to consume the parasites before they can really take hold. Once they’re firmly entrenched in the body, parasites start hijacking nutrients from the host, compromising immune function, and generatingama—the toxic wastes that serve as a breeding ground for disease. These wastes serve as an ideal food supply for common yeasts like Candida albicans, so it’s not unusual for an infestation of parasites to lead to a yeast infection. The same Ayurvedic methods can be used to treat both types of infection. § Include anti-parasitic foods, such as coconut, fresh pineapple, and pumpkin seeds in your diet. § Maximize your nutritional intake while minimizing the ingestion of toxins by eating organic fruits, vegetables, and grains. § Optimize intestinal flora by eating yogurt or taking probiotic supplements. o Adding black pepper, cayenne, dry ginger, and asafetida to your food. o Spacing meals at least three hours apart. o Sipping ginger tea in the morning and throughout the day. Observing strict hygiene is absolutely key to avoiding infection! § Wash your hands frequently—especially before eating, after using the bathroom, and changing diapers or cleaning up after pets; use soap and spend at least 45 seconds washing. § Never drink water from a stream unless you’ve boiled it for 1 minute. § Always wear shoes outdoors in areas that may be contaminated with sewage or animal feces. § Peel fruits that may come from an unhygienic source. Para Cleanse from Banyan Botanicals is a synergistic combination of the most effective antiparasitic herbs in the Ayurvedic pharmacopeia. It helps rid the gastrointestinal tract of unwanted parasites and supports balanced functioning by eliminating the toxins that they feed on. Based on vidanga and neem leaf, this formula also contains ginger, black pepper, and pippali to improve the body’s digestive capabilities, as well as triphala, amalaki, bibhitaki, and haritaki, to help cleanse and tone the colon. While there may be a worsening of symptoms during the mass die-off of parasites and yeast at the beginning of the treatment, persistence is crucial during this phase to ensure the body eliminates all unwanted parasites. Be sure to apply the same treatment dietary, lifestyle, and herbal protocols that you’re following to family members and pets to avoid spreading the infection and becoming re-infected. Ayurveda offers many natural skincare solutions. The recipe below creates a thin paste that helps heal acne and some kinds of eczema. Mix the herbal powders with water or whole milk if your skin is oily; if you have dry skin, use ghee. Apply this to the face for one-half hour at bedtime and one-half hour upon rising in the morning. If no irritation occurs, continue this regimen until imbalances clear. Make into a paste with rose water or milk or ghee. Apply ½ hour before bedtime and let dry. Rinse with warm water. Preliminary studies of the turmeric constituent curcumin are currently underway to evaluate its potential as a treatment for a range of disorders, including cancer, colitis, diabetes, Alzheimer’s, and arthritis. Cook in 2 cups of water. Boil down to 1 cup. Make and drink this three times a day for three days or until symptoms subside.